Ancestry: Fletcher C. Cravey; Henry Cravey, Jr.
Died: November 11, 1974 in Cataumet Ma. at 75 yrs, 10 mos, 29 d.
Married: March 15, 1918 in San Antonio Tx. 1. Eva Starratt Quinn; (1919 – ? ); Married John Michael Quinn, WW ll (1912 – 2003); John is buried in Cataumet Cemetery. 2. 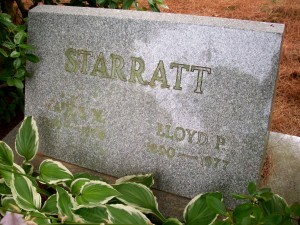 Douglas Lloyd Starratt, WW ll; (June 12, 1921 – April 9, 1995); Married Ann Elizabeth Burt (1921 – 2004); Douglas & Ann are buried in Massachusetts National Cemetery in Bourne Ma..
3. Kenneth Malcam Starratt, WW ll; (February 4, 1923 – August 14, 1988); Married Dorothy M. (–) (1920 – 2000); Kenneth & Dorothy are buried in Massachusetts National Cemetery in Bourne Ma..
4. 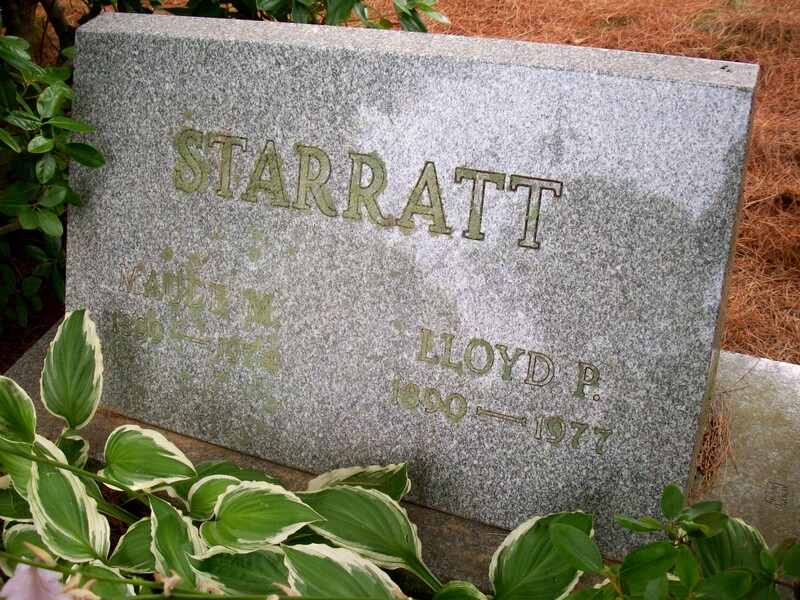 Jean Dorris Starratt Sparks; (December 19, 1924 – September 16, 1965); Jean is buried in Cataumet Cemetery.